Ready to dive deeper into your Instagram Insights? Today, we’re launching Instagram Insights in Rival IQ to provide one-stop-shopping* for all your Instagram follower, Story, and engagement data (including data that isn’t available within Instagram’s native analytics). Read on for the features we think you’ll be most excited about, or jump right in. It’s been a wild ride with Instagram these last few weeks with all their API changes. We’re excited to bring you powerhouse analytics directly within Rival IQ (with the ability to access your historical data!) so you can make the most of the most engaging social channel. *Sadly, Instagram’s API doesn’t make shopping data actually available just yet. With Instagram Insights, we take your analytics even further than the native Insights available within the Instagram app so you can make smarter decisions about your social. Savvy marketers know data is just a bunch of numbers unless you can tie those insights to benchmarks and strategy. 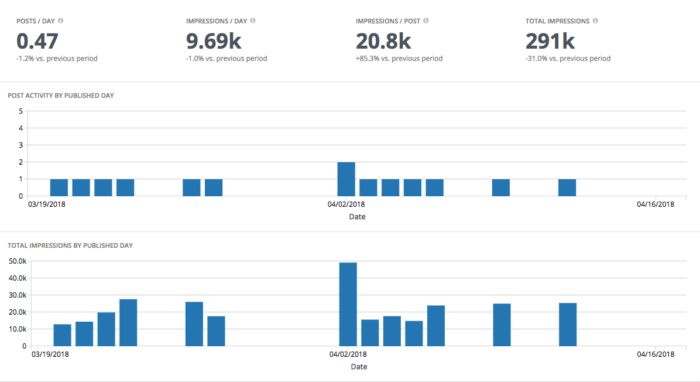 With relevant data and dynamic comments that help you interpret your numbers, you can see how your social is performing against your goals and tailor your strategy in real time. Here are a few of the enhanced analytics we think you’ll love. Profile engagements: You keep information in your profile for a reason. See how your followers interact with your links and contact info, and track that information over time. This is especially useful if you change out the links in your profile. Post details: Just as you can in other areas of Rival IQ, drill down to specific post performance with in-depth analysis on reach, engagement, impressions, and more. Follower adds and removes by day: We track both so you have a sense of how your follower count is changing day by day. (In native Instagram Insights, you can see only the number of followers you’ve added.) 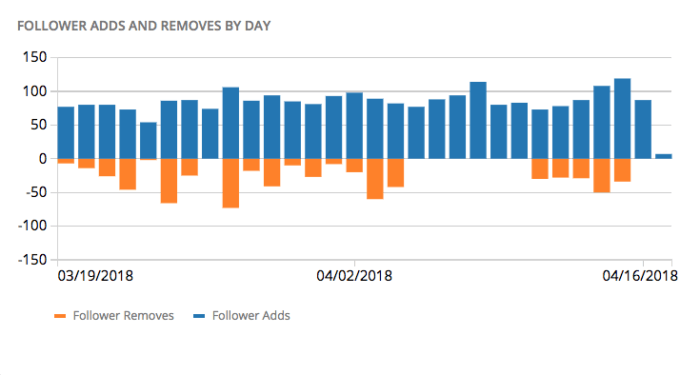 If a day or post led to a big fluctuation in both follower adds and removes, you’ll want to dig in to find out more about it. Follower online time: See how active your followers are by hour and by day within Rival IQ, including insights about how follower activity changes between weekdays and weekends. This info is especially handy when compared to post time, where you can see how your posts’ reach are affected by the times of day you post. Are you posting when your followers are most active online? Let’s face it: Instagram’s native Insights are built for analytics on-the-go. But what about the marketer who wants to go beyond her iPhone and thumbs? We address some of your most common complaints about native Instagram Insights to help you do more with your data. Review all your Stories in 24-hour periods: Wishing you could see how Stories posted in a 24-hour period performed? Yeah, we got that. Tip: Do you ever feature influencer Story takeovers? By grouping this data in 24-hour periods, you can see how these influencers affect engagement with your Stories, and you can also compare how your followers engage with each of those influencers. 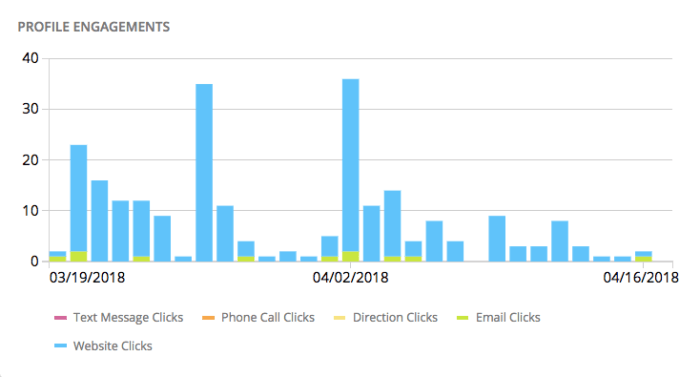 Our data geeks did the math for you: Go beyond impressions and views to find out the taps forward, exit rate, full view rate, retention rate, and a bunch of other nerdy things on your Stories and posts. Content+people=the engagement that matters on social. Instagram Insights in Rival IQ makes it easier than ever to evaluate your content performance and identify your high-potential audiences. Grid and mosaic views make it easy to see your most engaging Stories and content: These views are especially handy for visual channels like Instagram and for seeing how your Stories compete against one another. Are your followers falling off your Stories because you’re posting too many, or because you stuck a video in the middle of a bunch of photos? You can see (literally!) how your Stories perform against each other for stronger Stories moving forward. Tailor your content to your demographics: Is your content right for your followers? See the ages, genders (including unspecified! ), countries, and cities for your audience all in one handy, color-coded view. And, adjust the date range to see how your content is influencing your follower demographics (and vice versa). Identify your most promising hashtags (in posts and Stories): Hashtags are a critical strategy for staying in the Instagram flow, and now you can see your highest-performing hashtags based on the number of posts you used them in, as well as reach per post and engagement rate per post. In the example above, even though #seathtr didn’t reach as many folks, its engagement rate soared, suggesting this brand should make the most of that hashtag. Instagram Insights in both Rival IQ and Instagram itself is available only for Business Profiles, so consider converting if you haven’t already. And please note that a lot of your historical data (like Stories and demographics) are captured starting when you connect Instagram Insights to your Rival IQ account, so even if you’re not ready to dive in just yet, consider connecting it today so you have as much data as possible to review when you are ready. Ready to jump in but still not sure where to start? Join us for one of our training webinars all about Instagram Insights in Rival IQ where we’ll show you how to get the most out of all these new features. And if you’re all ready to go, jump into your Instagram Insights here. Do you have an Instagram pain you wish we could solve? Or a favorite feature of our new Instagram Insights functionality in Rival IQ? Drop us a line on Facebook or Twitter or Instagram so we can share your pain and celebrate your success!